For dinner I made appetizers and a main course with a “spear” theme. The appetizer was a caprese salad served with the tomato, basil and mozzarella cheese on a toothpick (aka ‘spear’) then drizzled with an agave sweetened balsamic. 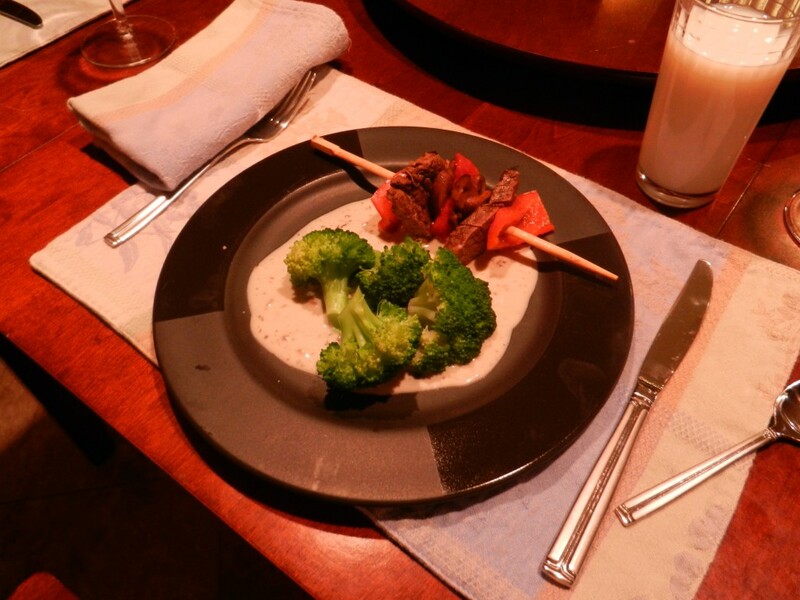 The main course was spears of broccoli along with kabob (spear) of tenderloin, grilled red pepper, and sauteed mushrooms. The whole dish was served over a bed of fresh creamed mushroom soup.